What’s in store for you in a Retail career? Excellent pay, awesome tech and a team that’s got your back every step of the way. Plus, this job will hook you up with the best deal in our stores – the chance to take your career wherever you want. 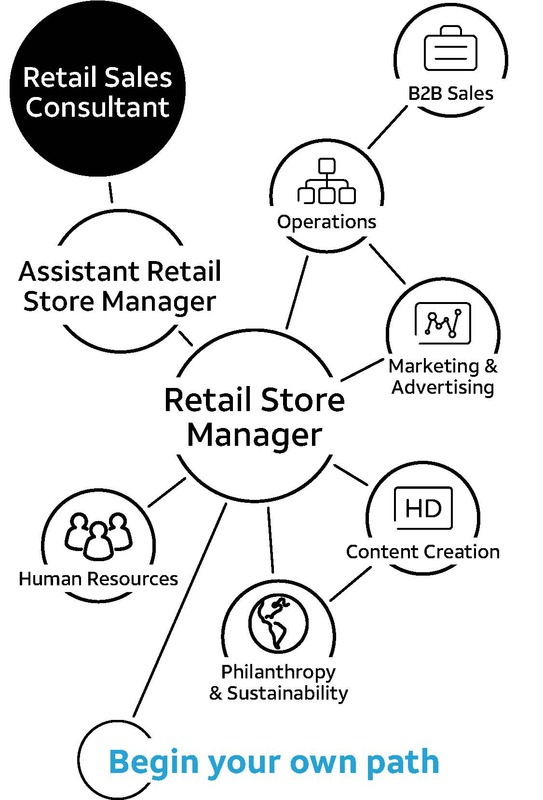 What makes a successful Retail Consultant at AT&T? Check out the traits we’re looking for and see if you have the right mix. Sharing your knowledge with our growing customer base comes with many rewards. Start with the paycheck: Base plus commission. Our current full-time Retail Sales Consultants earn an average of $47,552 in total compensation in the first year when successfully meeting or exceeding sales goals. Our top sellers earn an average of $56,950 per year. A spring and fall fund to spend on a wide range of Team Color apparel. You’ll even receive a welcome kit of fun gear to get you started (including two shirts).